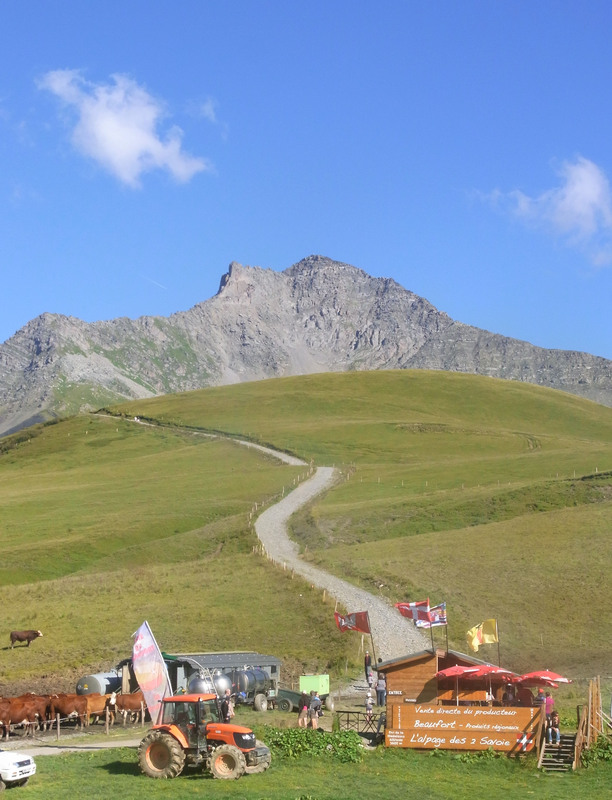 Col De la Madeleine 1993 metres also known as 2000 metres! Starting in La Chambre with an easy 6% this would not be seen much on this Hors Categorie climb. For thus like me who have recently got into cycling. 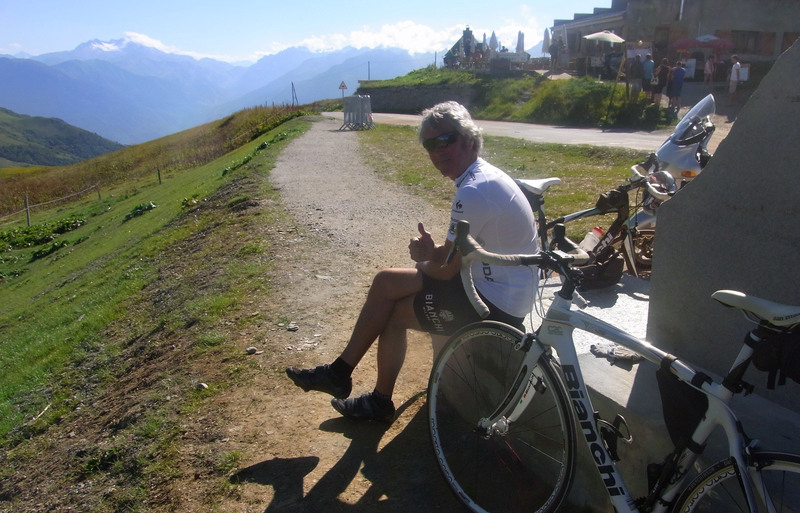 Hors Categorie means a very tough climb. Points are given in the Tour de France for Catergorie 1, 2, 3, 4 and Hors. Much easier than the off side rule, if a 2CV car gets up in 4th gear it’s 4 Catergorie 2nd gear Catergorie 2 and if there is no gear and doesn’t make it to the top then it Hors Catergorie. Gradients ranged at an average of 8% over the 19 kms, to say this was easy would be a lie. 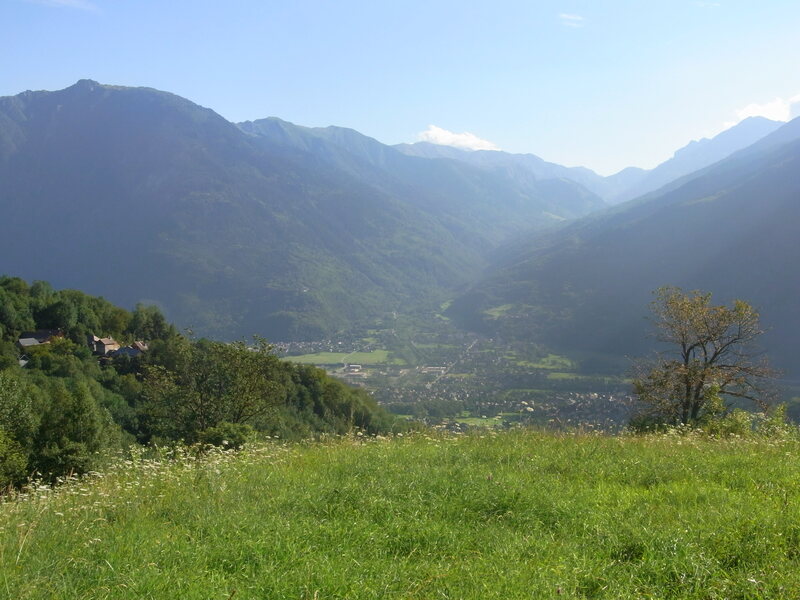 Shade was given at times from wooded areas that also stopped the views across to the Glandon valley. We found ourselves in the middle of a cycle race, I did not make the front of the peleton and nearly jumped into the team car. But something took over and made me face this beautiful but heartbreaking pass. 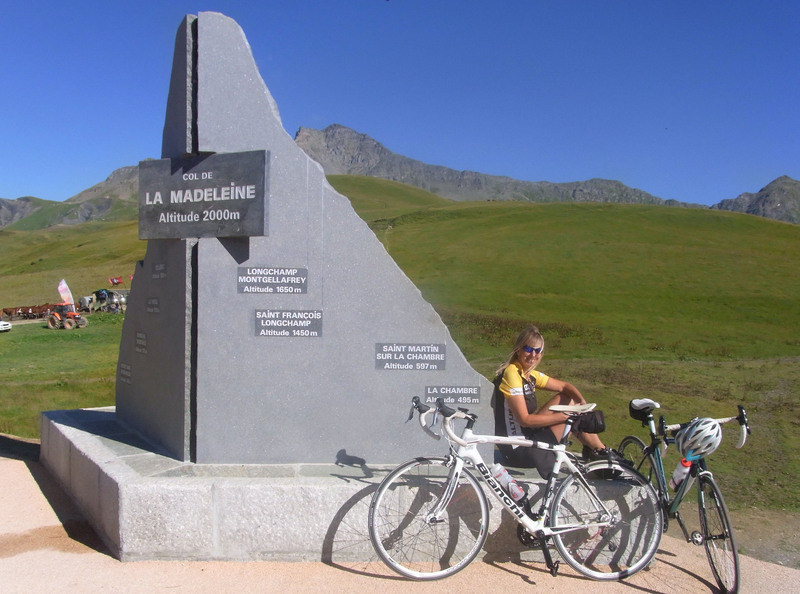 Thoughts of David Millar on the Tour de France made me realise I couldn’t give up.These boys would have cycled many miles before climbing the Mighty Madeleine. On top of the Madeleine, I’m not sure how I made the last few miles, but did. I even managed to swallow a fly! Number One cycling partner, that came back down over two kilometres to gave me support and encouragement. 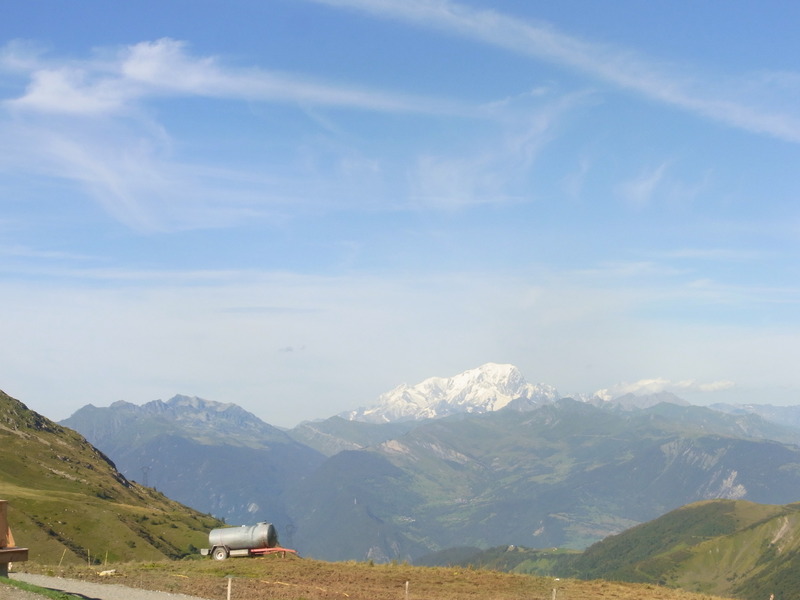 A milk tank admiring the view towards Mont Blanc. 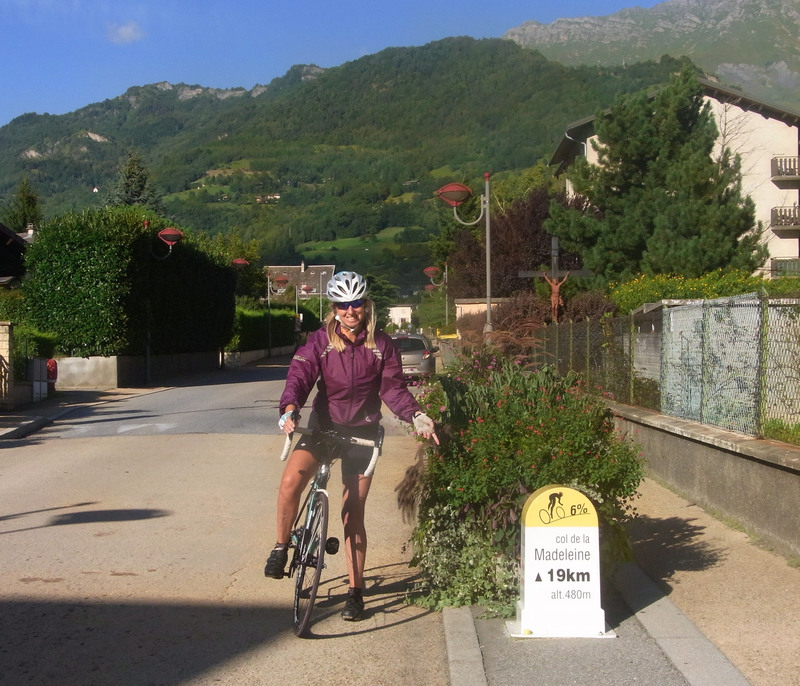 Image | This entry was posted in Cols over 2000m, French Alps, Hors Catogerie and tagged Col de la Madeleine. Bookmark the permalink.